Wouldn’t it be great to be able to bank currently low gas prices and use the banked gallons of gas to save money on gas in the future? This not just a wishful thought of a consumer fearful of gas prices heading back to the $4 level. It is reality in today’s Internet age that you can pre-pay for gallons of gas at currently low prices and bank them to use them in the future when gasoline goes back up in price. This might seem too good to be true or sound complicated, but in reality banking gallons of gas does not involve anything to do with the financial market. There are no complicated trading schemes associated with the gasoline futures markets or anything like that. All it takes is signing up for the MyGallons.com pre-purchase gas program via their website and paying for gasoline at current low prices. MyGallons.com does all the fancy trading in the gasoline futures markets to hedge against a future rise in gasoline prices. All you have to do is cash in your banked gallons of gasoline once gas prices have risen to a level at which it makes sense to do so. Cashing in is easy too. There is no need to go to cooperating gas stations or use a special card, you can go to any gas station that accepts credit or debit cards. MyGallons.com then pays you the difference between the higher price you paid for gas and the price you paid when you banked gallons of gas with them, minus a number of fees that they charge. Their fees amount to about 10% of the cost of your banked gallons of gas. That is how they make their money. 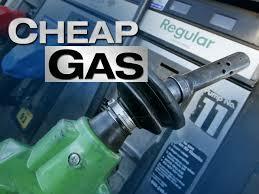 But, the cost is well worth it if gas skyrockets from $2 to $3 or $4 per gallon. Paying a 10% fee when gas goes up between 50% to 100% from the $2 level means the consumer who banked the gallons of gas comes out ahead. The drop in gas prices to around the $2 per gallon range has been a big relief for people and businesses throughout the world who use gas to power their vehicles. Many are likely unaware that they can actually bank gallons of gas at currently low levels and use them in the future to fill up their light trucks, sports utility vehicles (SUVs), and cars. How nice would that be to pay approximately $2 per gallon for gas while others are paying $3 or $4 per gallon and have the extra money saved available for something else? There are many reasons to think that gas will not stay down in the $2 per gallon forever, and 3 or $4 per gallon will return sooner or later, probably soon. The world is still a very instable place, particularly in the oil producing regions of the world. Any sudden drop in oil supplies could send gas prices soaring at the gas prices soaring and send gas consumers scrambling, as could a drop in oil production in the United States and elsewhere due to the low oil prices. It is all about supply and demand when it comes to gas prices. Anyone who gets ahead of the curve and pays for their gallons of gas while they are cheap can rest easy knowing that they can cash in their banked gallons of gas with MyGallons.com. 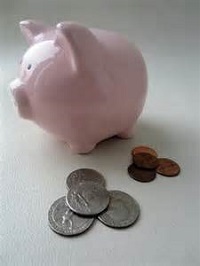 How do you save money on gas by banking gallons at MyGallons.com? One thing should be pointed out before going further, the more gas you pre-pay for the more you will save, especially when factoring in the fees associated with the MyGallons.com gas banking service. There is no limit set by MyGallons.com regarding how many gallons of gas customers can pre-pay for at a time. The pre-paid gallons of gas can be held as long as a customer wants to hold them in their MyGallons.com bank. 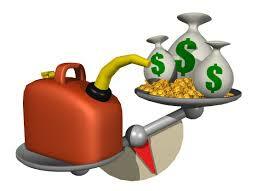 The only limit that the company puts on redemptions of banked gallons is 150 gallons per month per vehicle. Customers can get around the 150 gallons per month per vehicle limit by providing MyGallons.com receipts proving that they purchased more than 150 gallons of gas. MyGallons.com provides a list on their website of the wholesale price for pre-paid gasoline in each state website. If the customer buys gallons of gas for their account at MyGallons.com, they pay the wholesale price listed on the companies, site, plus several fees, which are listed below. The purchased gallons of gas are placed into the customer’s MyGallons.com account. At that point, they can be used at any gas station at any future time, as long as the gas station accepts credit or debit cards. When the customer is ready to use their banked gallons of gas, they use either a credit card or the MyGallons.com Fuel Savings Card debit card to buy gas. They then have to log into their MyGallons.com account and make MyGallons.com aware of the purchase, including the number of gallons purchased and the cost. MyGallons.com will then deposit money into a customer’s bank account or onto their Fuel Savings Card in an amount that compensates the customer the difference between the pre-paid price and the price they paid at the pump for gas. Not terribly difficult, and the savings can add up to hundreds or even thousands of dollars, depending upon how much gas a customer uses. There are several fees that are incurred, which makes the break-even point for the MyGallons.com gas banking service about 10% greater than the pre-paid cost of the gallons of gas purchase. The fees include: a $30 annual membership fee that is charged per vehicle, a 6% fee on the total order when a purchasing pre-purchased gas, a $10 issuance fee for the MyGallons Fuel Savings Card, and finally 6 cents per gallon fee when the gallons banked at MyGallons.com are used to buy gas. 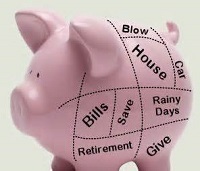 One of the best ways to secure one’s future is to simply to save money by putting it away. Saving money sounds simple and in theory it is just that, but there is a little thing called life that likes to get in the way of us being able to save successfully for our future. The unexpected costs of day to day life often hampers our ability to hold onto each and every penny that can help fund our futures. 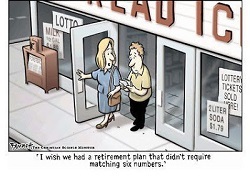 Here are some easy ways to save money to help fund your retirement. When spending your money there are some better ways to save even while spending your money. When it comes to purchasing your day to day spending there are ways to curb the amount of money you are spending on various products by purchasing alternate items to brand name products. When it comes to buying food, one of the easiest ways to save money comes when you the shopper ditch the brand names and start buying the generic or store brand items. You might have grown up on Wonder Bread but with cost continually going up on food prices, you might want to try the store brand bread. Instead of buying brand name coffee look at cheaper alternatives that will help you save even if only by a dollar or two. Instead of buying lunch every day, you are much more able to save money by bring your lunch to work. I know how routine brown bagging your lunch can be. Especially when the temptations of something other than your brown bagged lunch are wafting through the air at lunch time. Brown bagging your lunch may be old school, but it has been proven time after time to help save money. Instead of spending 10 dollars a day on lunch, it is much more cost effective to use your leftovers as lunch and maximizing your cost effectiveness on meals purchased and prepared for multiple uses. Gas prices may have started to subside a bit but that doesn’t mean that you can take a break when trying to save money. If you drive your own car it is important to maintain the car and its engine up to par. The reason behind this is that with proper tire pressure and a well tuned engine will allow your vehicle to perform at optimum efficiency which will save you money per year. If you are a commuter than has the availability to take public transit, you are more likely to 5 to 10 dollars per trip when compared to the cost of taking a cab. For those of us that tend to travel a little bit farther say by plane, one of the biggest growing trends is the use of discount airlines. When the word discount comes into play, we often worry about how much the services are discounted to match the price. If you are having any qualms about taking a discount airline company to help you get to your destination; remember that all of these discount airline companies still have to abide by the same safety standards of the bigger airlines. In fact many consumers are steadily realizing that the discount airliners have more to offer their customers than the bigger airline companies have been able to in recent years. One of the biggest money dumps in this country stem from the mentality that bigger is undoubtedly better. That is not always the case when it comes to saving money. Many Americans have been downsizing their living spaces when comparing the amount of space they are using and the cost of that space. Many people have given up on the bigger homes and have essentially downgraded to renting closer to their jobs. The benefit to moving closer to your job is one of the easiest ways to save money. By knocking off 5,000 miles per year in a daily commute, you can save yourself at the very least 1,000 dollars. If you are choosing to stay in the place you have already purchased, you will inevitably need to do some home repairs. The easiest way to cut your costs in these types of endeavors is to stick with time tested and approved contractors that have either helped your friends or family, and never pay in full before any job is completed! Whether you are looking to save on housing costs, transportation costs, or food costs, you will be able to save on you day to day costs by following these tips mentioned above. 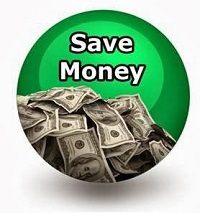 When it comes to saving money the first step is always using your common sense. Spend smartly by not over indulging in costs that can better be avoided by spending your money on purchases that will last longer rather than short term gains. As August is coming to a close and September is getting ready to gear up so is the new school year. As the new school year approaches, some of the newer college students will continue to make the same mistakes that I made when I was in college. Here are three easy ways in which you can save some money when it comes to buying college textbooks. The face of college learning has been changing over the years. Where textbooks once ruled the classroom, technology has given professors and students a new direction in which to take when it comes to learning. Do not buy the book before the first day of class. It is important to get in contact with the professor to make sure that the book listed on the syllabus or the suggested reading list. Just because the books were listed didn’t mean that they were used. Make sure that when you are looking to purchase the books for your classes that the ISBN numbers match up correctly as it is possibly to buy two very different books with the same title and may end up wasting either time or money or both. The cost of college textbooks are not cheap and unfortunately they are often overpriced with little resale value. I can’t tell you the number of times I was burned by a textbook that cost upwards of 200 dollars and then by the time it came to sell it back to the bookstore with little wear and tear, and if I was lucky I’d be offered 20 dollars for it. The importance of getting in touch with the professor before purchasing any books is to save on the initial cost and save your money where you can. The college experience is worth the trouble but only if you can save on some of the cost. Technology is a wonderful asset because it gives you more options when looking to combat the high cost of college textbooks. Not everyone learns the same, some people are visual learners and others are audio learners. There are various sites in which you can purchase an audio book and listen to it on your computer, tablet, or iPod or MP3 player. Another great way to save should a textbook be necessary, is to look online for that book. Whether the text be an eBook or a physical used textbook, both are often much cheaper online. Such services like amazon.com, ebay.com, barnesandnobel.com, and audiable.com are all great choices when looking to save money on college texts. Some colleges are offering their students the ability to rent textbooks for the semester and return them in order to minimize the cost of ownership. Unlike owning the books themselves, student are able to cut the costs of the semester by leasing the book for about four months and then returning it so that the process can be repeated. I personally was able to rent book from the campus library and my local library as well in order to keep the cost fact down. New editions of textbooks come out every couple of years often with only very limited newer information. With that being the case, the older editions are usually much cheaper than the newer ones. This is often one of the best and most effective ways to cut your costs when buying books for school. The key to saving money is to exhaust all available options before having to spend money at the much higher retail cost. Sometimes the best part about using older editions is that while it retains a lower price at the book store, you are much more likely to find another student selling their edition off at a much lower cost than the book store. Like you they are looking to unload the book at a cost that can help them buy a newer book for their next and upcoming class schedule by passing off savings. The college experience is just that, an experience in which life lesson are taught in order for the experiences to be retained for use. The knowledge you will learn when it comes to cutting cost and saving money on textbook purchases are some of the most valuable lessons that can be learned in life. Call it money management and the best ways to practice becoming a savvy shopper. The degree program may help you understand the world a little better and help you get into your dream job. But it is the lessons you will learn in the off hours of your college experience that will teach you the best ways to stretch your funding so that your life is made a little easier. 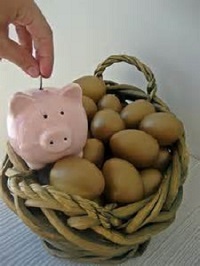 The Great Recession started in 2007 and has effectively ravished many of the finances and savings of those in the US. Changes in the ways people are spending and saving their money are in a direct correlation to the way the economy has treated them and their finances in the last few years. So if the recession has educated people on anything, it is the best ways to live on a budget. Here are some ways to effectively live on a budget. Setting priorities in your life are the best ways to categorize what is important and what isn’t as important. Think of setting a priority in your life as a steps one through five, with the top three being the most important goals you can try to achieve. Our surroundings are our culture which help us define how we intend to live our lives. 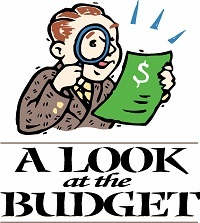 Sometimes we tend to spend more than we had allocated in our predetermined monthly budgets. Whether it be a high definition television or that brand new gaming system, it is okay to splurge every now and then to keep your sanity. The key to living on a budget is understanding that every now and then there will be money to be set aside when spending for fun, but known that the best ways to save money for the future is to live the your funding budgeted out per month. Daily and weekly expense are to accounted for based on your average income per week or even every two weeks. Lately there has been a new craze out there for organic or all natural food. The easiest way to cut costs when trying to live on a monthly budget that allows you to save the better part of your take home money per month. You can still eat those foods even thought they tend to be more expensive than what has been traditionally on sale to the mass market. The best way to subsidize some of the cost is to buy store brand versions of the natural or organic foods because those foods are still held to the same standard as the name brand items. Another way to save money in your monthly spending is to use grocery coupons. Grocery coupons are making a rather big comeback. According to study in Time Magazine, in 2009 Americans used 3.3 billion coupons worth about 3.5 billion dollars. Since grocery stores tend to have a bigger mark up than their wholesale counterparts, it is only logical that the best way to save on your grocery list will happen when you use either store or vendor coupons. So for example: If you are looking to buy a 4 pack of organic tomatoes and there is a brand name on sale for $3.99 but the store brand 4 pack organic tomatoes is worth $2.99 the clear cut choice is easy and even better if you have a coupon that takes an additional 50 cents off the purchase which only sweetens the deal for you. Often the biggest issue with living on a monthly budget that allows you to live more comfortably is that without personal self discipline, you will only flounder. It is okay to be frugal. The desire to hold onto and possibly grow your money for the longer term is nothing to be ashamed about because you are looking to stretch your money. However, it is not uncommon to see that many people who are as committed as you might be when it comes to living your life on a doable budget, tend to burn out or get bored with their budgets. As we’ve already recognized, every now and then you will spend your extra money on a new television or gaming station. That is perfectly fine as long as you don’t act out those desires all the time. The goal is to make your money go as far as possible so that you can buy the things that make you happy while allowing you to maintain your bills and expenses. Try not to lose sight of your goals as it is only through dedication and the will to achieve your long and medium term goals. Living your life on a budget that effectively allows you to live the life you want to live is thoroughly possible as long as you are willing to do the work upfront to make it happen. Set your priories to help you have a plan of action. Eat the foods that make you happy and keep you healthy even if they cost you a little bit more. And try not to lose sight on your financial goals because by following these three steps you will be well on your way to achieving you financial success. The cost of living has gone up everywhere from taxes to buying food at the grocery store. The drought out west, the increase of gas prices, and various diseases that are affecting cattle and crops are all contributing factors to the overall increase cost of meats, dairy and produce. 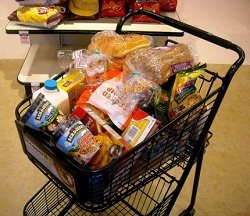 The increase in price at the grocery store are also being passed on to the customer due to the small margin of profit. Chances are you have to eat, so you might as well know why the cost of your food is going up! If there is one industry that does not like to see prices go up, it is the food manufacturers. Food manufacturers hate when food prices rise because there is no safe way to bet on the cost of food production because no one knows how high or low that food price will go. The Bureau of Labor Statistics has announced that the price per pound of ground beef increased in May 2014 as opposed to May of last year by as much as 16.5 percent. A pound of American Cheese increased in price by 11.1 percent. Many of the food producers are unsure whether or not the spikes in price will be temporary or more permanent. If it is short term then the profit margins would only be inflated for a short time. If in fact the spikes in prices are more permanent then the food manufactures will react in due time. In recent years with the uncertainty of the global economy, food producers have come up with a few strategies that can help keep their profit levels afloat in times of fluctuation. Unfortunately for the consumers, it is often they who are left holding the difference in between the supply and demand aspect of grocery retail. One of the most common changes that occurs when the cost of producing foods begins to rise is the reduction of packaged volume. What this means is the size of the package of food you buy in the store will get smaller while often the cost remains the same. Chances are you’ve already noticed this when buying ice cream as products with dairy tend to be cut or their prices raise. Years ago one might have paid a fraction of what they are paying now for a gallon of ice cream, yet gallons of ice cream are no longer the norms to be stock on the frozen shelving. For example: Cookie producer X might have produced a 20 ounce package of cookies ten years ago and sold it for 3 dollars. Due to rising costs of producing that cookie, they pulled the 20 package from the shelving and downsized the standard to 11 ounce packages. The price point of 3 dollars may stay the same or even go up because of this rising cost. You as the consumer continue to pay for the brand name X but are receiving less product for you money. As the cost of producing rises so too will the prices. Everything you buy in a grocery store is marked up so that the chain can make a profit on the items they are selling you. This you already know but need to understand that while the cost of production increases so too does the cost at which the grocery company is buying those products. In short, as the cost of production increases so does the wholesale cost which is then passed onto the customer to make up the difference. One of two outcomes is to follow, either the consumer will buy the brand because they’ve always bought the brand and are comfortable paying the additional cost or they will buy a cheaper brand. This is one of the reasons that food producers aren’t happy about the cost of food increasing, because it hurts their profit margins. 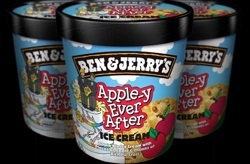 Repackaging is a great way to fool the customer into thinking that there is a new product hitting the shelves. Many times the packaging becomes old and outdated which can contribute to a lag in sales. Many products over the years have undergone a face lift, in which more bold letters, enticing pictures and eye catching brighter colors are printed on the labels to attract customers to their shelf space. Any way that the manufacturer can advertise their product over that of a competing brand, will be their first course of action. The increases that you are seeing in the grocery stores are inevitable. While many of us may not agree or be able to justify paying more for ice cream than we do a gallon of gas, we as consumers must pay attention to the tricks in which manufacturers and retailers engage in, in order to earn our business. Cost will almost always go up, but if you are looking to spend smarter and save money, then knowing why the cost is going up is your first step.